CRAZY DISCOUNT! Was: $249.95 Now: $139.97! 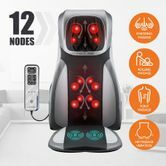 Relieve tight and sore muscles and improve the blood circulation with massage cushion which comes with twelve massage nodes and heating functions. 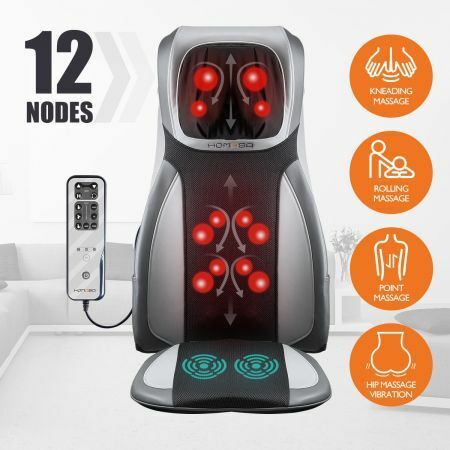 Featuring four neck massage nodes, eight back massage nodes and three levels of seat vibration, the shiatsu massage cushion will deliver a deep kneading and relaxing massage experience for your entire body. An easy to use remote control ensures you to regulate the intensity of the massage and the heat to match different needs. Bring the massage cushion seat home or office to enjoy daily comfort. Top seller great communication awesome product. Thank you - the items arrived exactly as ordered and on time.